Both your Blue and Yellow Chapter hacks are on progress! Can't wait to play on them! You rule! I was just laughing so hard at this part... Went flying... Hilarious! I support Aethestode and all his glorious manga hacks! Hyped Up For August 31st! Last edited by Logical Cabbage; 28th July 2014 at 02:38 PM. 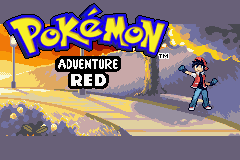 Mr.Dollsteak over at pc did a Mega Y for his gen 6 companion to chaos rushes sprites and they work in these games. I don't think he has done any other megas yet, and he has done the icon for mega y. Last edited by MakoReactor; 28th July 2014 at 03:58 PM. I'll inform you, if I find anything. EDIT: Unfortunately I didn't find anything else there. Last edited by Ttar0914; 28th July 2014 at 04:56 PM. Dude, whilst I love your hack, I have an issue and that is with your personal attack on certain people you had issue with. I understand that you feel a little angry with what happened on PC, but don't be unprofessional and mention it in the game. It is just a little immature, just ignore what they did and move on, that is the only issue I have with this hack. I could be the bigger person and move on (and honestly, I don't really care about the situation anymore), or I can take the idiocy of those people and have a little laugh about it. Last edited by aethestode; 28th July 2014 at 05:46 PM. How many chapters do you plan to have in Beta 1? And how many chapters have you implemented? Best way to do it. Always better to make a bad situation into something humorous than act like it never happened. 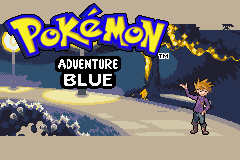 I'm planning to release it after making 12 chapters, since players no longer need to start all over again after each beta felt it's good this way. 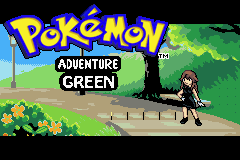 Got around to editing the title screen.